Low back acting up? Use this guide to help. It just might change your life. Find out how! Getting rid of Low Back Pain is more than just rest and stretching. 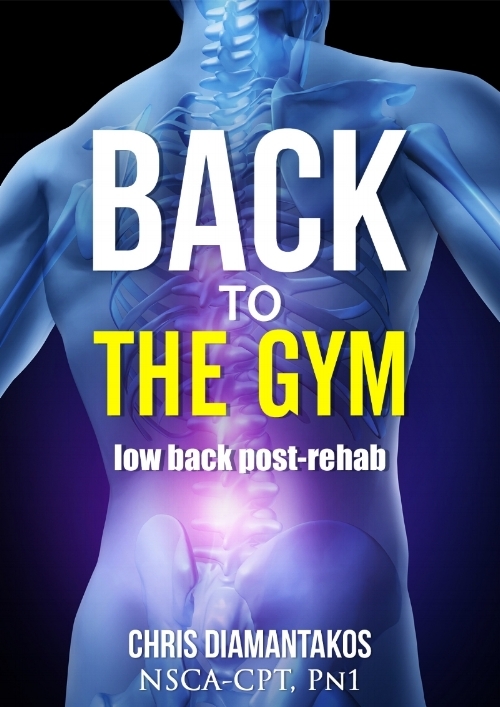 Back To The Gym is a comprehensive guide that takes you through the rehab process so you can get back to the gym, field, ice, or whichever playground you call home! 6 Week Program to fix your back! Low Back Pain Basic Concepts - These are the secrets to relieving pain and improving performance. Without these concepts you'll be stuck in rehab purgatory for the rest of your life. What they're saying about Chris D.
"I have been working out with Chris for over two years. Thanks to his guidance and encouragement, my posture has improved and my strength has dramatically increased. More importantly, my nagging shoulder pain improved significantly and when I injured my lower back, he was instrumental in speeding my recovery. He's a consummate professional and all around great person. I respect him and recommend him wholeheartedly." Hands down the best training experience. Chris has made going to the gym something I look forward to and actually enjoy instead of just being a necessity. A year ago, an orthopaedic surgeon told me I probably would never squat without pain again. With his expertise, dedication and patience, Chris made it possible for me to train without any discomfort at all! I am now lifting heavier than I ever have and feel strong and empowered. 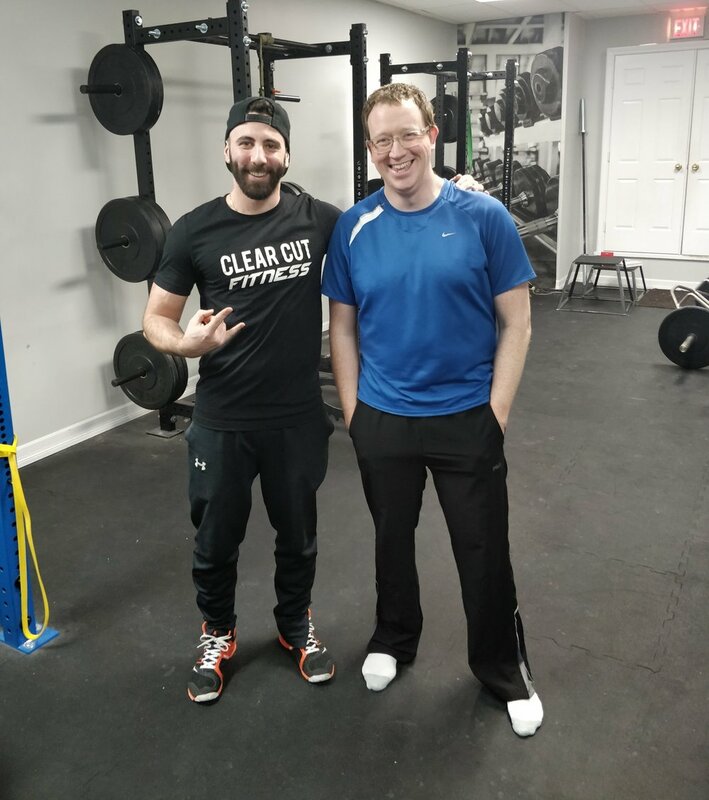 I feel so fortunate to have found Chris and Clear Cut Fitness, can't recommend it enough!